Avoid being too gung-ho this weekend. Rams are always butting in with advice but don’t help others unless they ask you first. Everyone has their unique way of approaching problems. The more time and energy you put into close personal relationships, the more they will flourish. It’s time to reconcile differences, and nip problems in the bud before they get bigger. When it comes to a complex relationship with a child, teenager or friend, aim to be as proactive – and diplomatic - as possible this weekend. Expect some complications along the way. When it comes to relationships, avoid the tendency to be physically clingy or emotionally manipulative. Remember there’s a big difference between loving someone and smothering them! Expect intense communication with others, as Venus and Pluto trigger emotional outbursts and plenty of power games. The more you try to control others, the more they will resist. A creative approach clears away the cobwebs, especially when it comes to financial concerns. The more proactive you are about increasing cash flow, the more money matters will improve. With Venus and Mars in your sign, many Librans are hungry for love and lust this weekend. But your choice of partner may upset a family member, so be tactful and take baby steps. 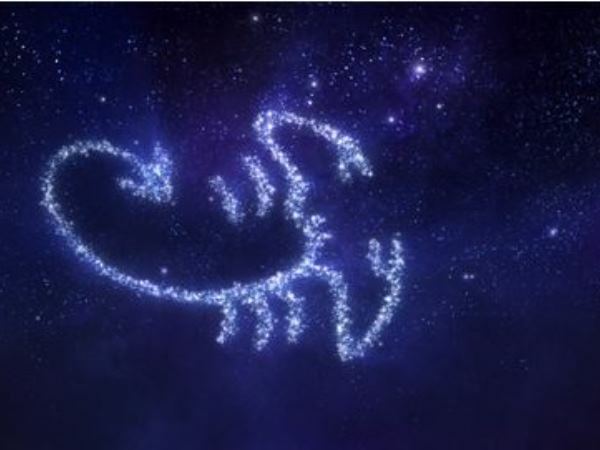 Resist the temptation to use subversive tactics to manipulate others this weekend Scorpio. You don’t always have to be in control. Instead, learn to let go, relax and move on. Mercury is now moving through your sign so it’s time to travel, study, do business or research a topic that has always intrigued you. You’re keen to mix and mingle with a new crowd. Don’t waste time and energy criticising others. The only way you’ll get things completed properly is if you take charge and do them yourself. Then you can rest after a job well done. Mercury is now moving through your networking zone, so it’s the perfect weekend to connect with family, friends and colleagues from far and wide, both in person and online. You’re like an emotional sponge as you soak up the atmosphere around you, but avoid negative people who’ll just bring you down. If you have to make a decision, follow your intuition. Avoid being jealous and possessive today. Make sure you are making the most of your fertile imagination. 2016 is the year to look after your health and be more emotionally open. Expect a busy day, with lots of lively conversation and fiery debate. You become impatient when others want you to follow conventional rules. Your daring approach will shake things up in 2016 – especially at home or work.